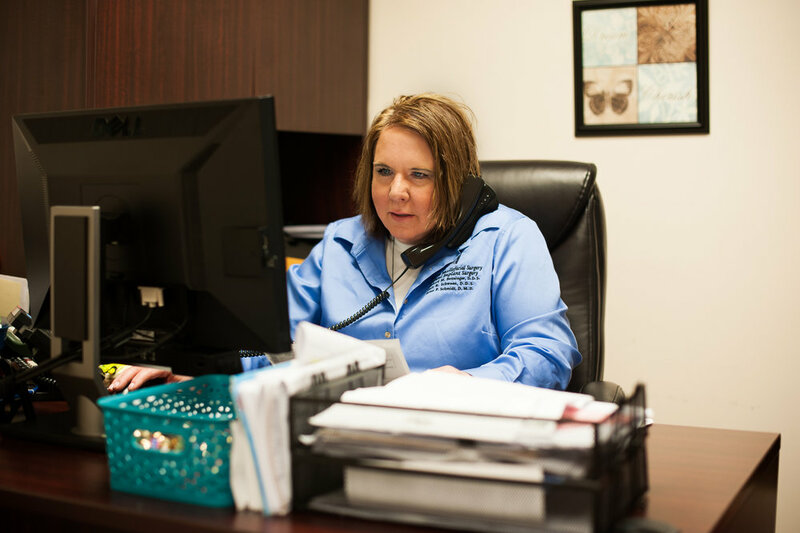 Our administrative staff members are well-trained in assisting you with scheduling appointments, assisting with insurance inquiries and billing, or obtaining any other resources needed to ensure your visit to our office is a pleasant experience. The surgical staff at Drs. Benninger, Schween, and Schmidt are compassionate, experienced, and well-trained. Patient safety and comfort is the # 1 priority for our practice. 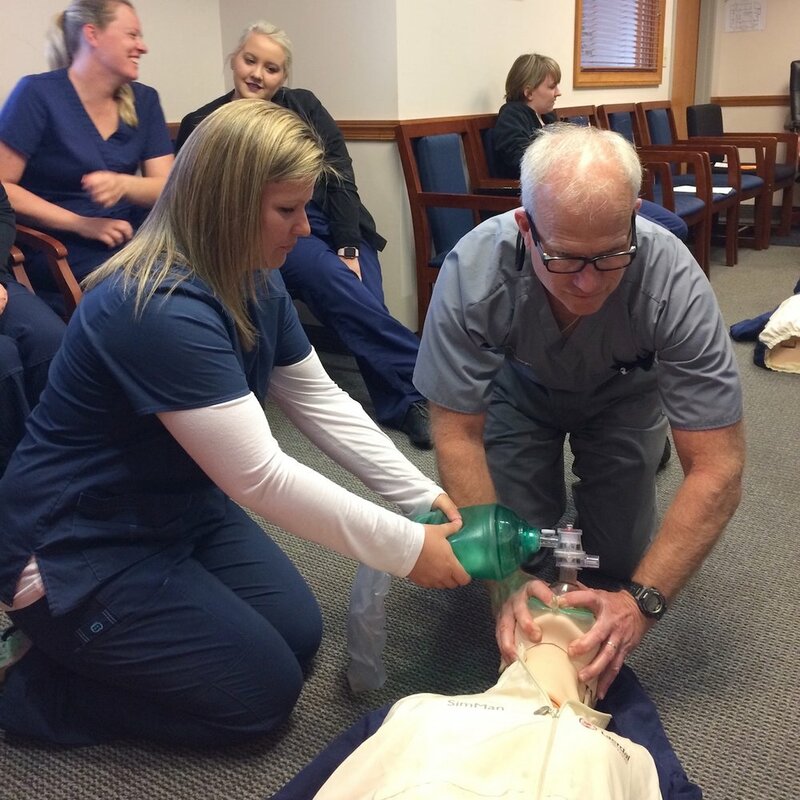 Our surgeons and team have extensive anesthesia, CPR, and dental office emergency management training. 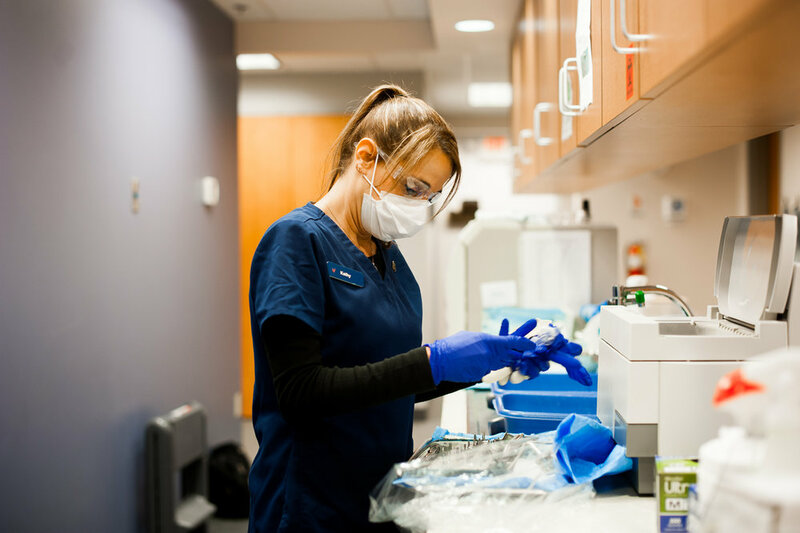 Our surgical assistants prepare our patients for surgery, assist in surgery, and provide sterile equipment for surgery. They also check patients' vital signs and follow the patient through recovery to discharging instructions and follow-up care. Pictured above: Drs. 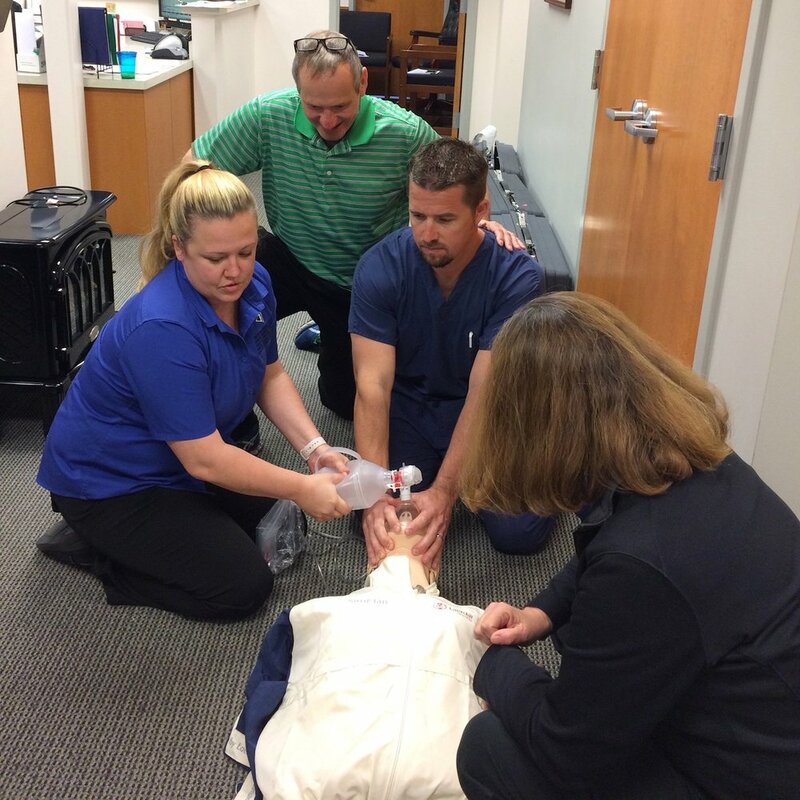 Benninger, Schween, & Schmidt and team practice medical office emergency procedures.